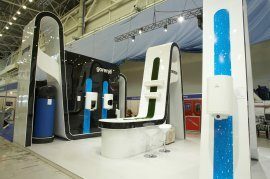 Company Gorenje Ukraine presented it self from the 14th to 17th May 2008 in Kyiv at the 10th International Aquatherm Exhibition for Heating, Ventilation, Air-Conditioning, Water Supply, Sanitary and Environmental Technology. 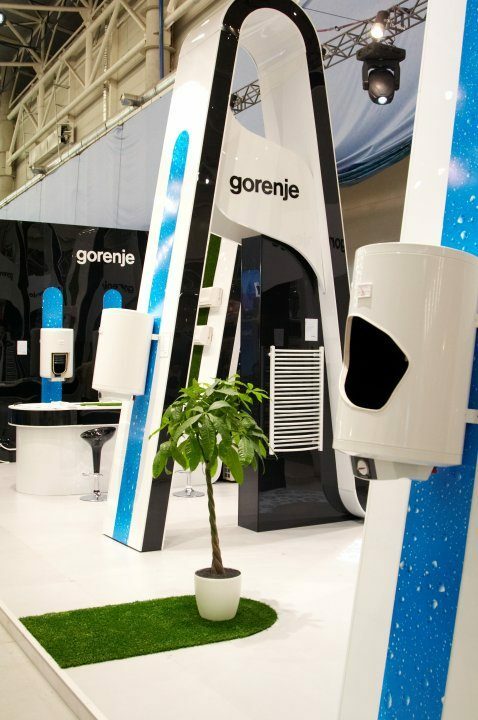 Gorenje presented electriacl water heaters, new design of heating pumps, water keepers, radiators and air conditioning and was awarded with Aquatherm Award for the most beautiful setteled exhibition place. They also presented the new look of the TGR and GBFU water heaters with the new electonic direction. Aquatherm Exhibition is the biggest international ukrainan fair for sanitary, heating, ventilation and air-conditioning technologies, where many globaly renewed producers are presented, among them also Gorenje Tiki, which is presented at the ukrainian market with its programme until the year 2004. In four days 36,000 visitors saw the Aquatherm Exhibition, where 800 exhibitors took part in, and could not overlooked the exhibition place of Gorenje, which was awarded the Aquatherm award. Gorenje has been present in Ukraine since 2001; since, the company has seen its successful growth each year. Beside large appliances programme Gorenje is also present with the the sanitary programme, heating pumps, water heaters, air conditioning, radiators and electrical and gas hetaers on the ukrainan market, where they are more than succesful, they have already reached a leading 30-percent market share in 2006. Also offered under the Gorenje brand are bathroom furniture sets, small household appliances, and kitchens (kitchen furniture). The programs were successfully diversified due to the brand's distinctiveness and reputation in white goods, although a reverse effect is already perceivable as well. During the short time of their presence in the market, they managed to raise the distinctiveness and consumer awareness of the Gorenje brand to a satisfactory level, which is further supported and promoted by an ever wider offer of products for the home. "Ukrainian consumers see quality as the highest value of a brand, followed by design. Gorenje combines these two characteristics, thus establishing a reputation among the Ukrainians. Many a Ukrainian could not only respond that Gorenje is a white goods brand, but also where it comes from and what attributes it combines" explained Iryna Solomykina, a head of marketing in Gorenje Ukraine company.